Here's where you can submit your contributions for our new series focusing on the consoles themselves. As some of you may have already heard, we're creating a series of podcast specials, this time the focus being on the consoles themselves. The plan is for the podcast to encompass the history of the chosen system from launch through its evolution, mixed with the panels personal perspective of their time spent with it. There will also be discussion of some of the stand-out titles for the system. As with the regular Cane and Rinse podcast, we'd like to include contributions from you, our community, too. So we've created this sub forum and threads so you can leave us your most memorable moments spent with the systems we're covering. 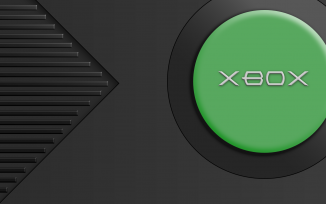 Our fourth show is covering Microsoft's original XBox. All being well, we'll be recording this March 2019. So If you have something to say about this system this is where you should leave it. As with the others, this will be also a timed exclusive for our Patreon, with each special being released on our regular feed only once the next one is published, so if ever there was a time to give us just 75p a month, this could be it! Honestly, when I think of the original Xbox, I think of friendship. Youthful, generous, carefree friendship. I grew up in a TV-free household due to various factors, and even though I was already an avid handheld player by the turn of the millennium, my first proper introduction to home console gaming was through frequent Halo local multiplayer matches with the same tight-knit group of teenage friends. I had recently moved to a different city (and country!) at the time, and was very happy to have found people with whom to bond and discover a new hobby with. An inordinate amount of our collective free time in 2002-2005 was spent huddled around this gargantuan plastic cuboid, boasting about imaginary girlfriends, memorizing every square centimeter (sorry, "inch") of every map and every weapon's respawn timer, loudly announcing we were going to pull an "all-nighter" that ended in everybody being fast asleep at 01:15, trying to come up with the most balanced team composition without hurting the low-skilled dude's feelings too much, drinking from the same budget ice tea Tetra Pak like a bunch of feral piglets, boldly declaring the use of the sniper rifle to be "cheating", prattling on about whose neighbor totally got stabbed with a bread knife the day before, willfully accusing each other of "BILDSCHIRMGUCKEN!!" (screen-watching), and inevitably flying out of the apartment en masse once the ritualistic shoving and bellowing had become too audibly disruptive for the poor parents to ignore. Only to then load the entire equipment onto our busted up bicycles, ferry it over to a different friend's house and restart the entire process from the beginning like the single-minded little savages we were. Gaming felt much more niche back then, especially due to household-wide broadband internet access still sounding like a futuristic pipe dream. I can clearly recall our sheer excitement on the day Halo 2 came out: The opening cutscene was an eye-opener and the simple act of trying out the new weapons and maps felt like a proper event (Lockout still reigns supreme in the Hall of Fame of multiplayer FPS maps for my money). Needless to say, months of unadulterated fun were right around the corner. I never ended up buying one of those for myself, however. My handful of favorite titles in its lineup (Halo, Fable, Ninja Gaiden) all run perfectly well on my Xbox 360. But I still feel like I've profited a great deal from this brave little machine's existence, even indirectly. As life went on and people grew older, friends drifted apart, but the memories will probably stay with me for years to come. I got my xbox at the age of 11, i had gathered together all my PS2 games, console, contollers the lot. All beacuse i needed that one game, that game was Halo. When everything was tallied up my PS2 and games was enough to get me the xbox, two controllers and of course a copy of Halo. That was all i needed. What followed was countless hours of Halo multiplayer with my friends, and then with the arrival of Halo 2 countless hours of online multplayer. There were of course quite a number of fantastic singleplayer games Kotor, Fable to name a few. But for me playing Halo 2 with people all across the world was simply magic. Although the xbox is not quite so highly regarded as the other console of the era, but my word i loved my xbox to bits. Cheers guys, can't wait to hear the full episode! These console specials are a really interesting idea. I've been surprised by how nostalgic it has made me feel for the megadrive and the PlayStation. I'm probably not going to make myself popular here,but for whatever reason, I don't have the same level of affection for the X Box. I think that other consoles have become linked in my mind with particular times of my life and the x box just hasn't had the same impact for me. With the original x box, I had already bought the other major console of that generation - N Gage....just kidding - and when I picked up the x box it was when I finally caved in to the lure of being able to play the superb and epic experience of Halo. I guess that means that the x box didn't feel like it had much of a personality in itself beyond being a purchase that I felt forced to make in order to play a single specific - although admittedly sublime - videogame. The machine itself seemed big and blocky and ugly - a step back maybe from the more sophisticated-seeming PS2 or the cute and quirky GameCube. Games seemed to have been becoming more mature and inclusive over previous years and the x box in some ways seemed to embody a degree of regression and is associated in my mind with the image of an angry teenage gamer swearing at "noobs" through a headset. Still, there were some great games. Not just Halo, but the excellent and demanding Ninja Gaiden and the early Bioware games like Jade Empire and what, to this day remains the greatest Star Wars game of all time - Knights of the Old Republic. I feel I might be coming to this discussion from a different angle, but my history with the OG X-box started a long time ago, back in the wistful year of 2015. At the time of its release i wrote the Big box off immediately. My brother had a Gamecube, I was going to get a PS2. We were both at university and money was tight. it was unthinkable that we would've bought another console, so the X-box was roundly ignored. This carried on into the next two generations as I proudly stayed brand loyal to Sony. However, in the year of our lord 2015, in a small charity shop i stumbled over the ancient behemoth. For the pittance of £20 i purchased the machine, a pile of controllers and that Halo that people kept talking about. Halo was fun for a few hours, but the aged visuals soon turned me off. heart broken over my wasted £20, I googled "cool things to do with an X-box" and my eyes lit up. with merely a few tools and a morally bankrupt heart, i could mod the old gal into the ultimate retro console. A joyful week followed as i learned how to soft mod, which led to hard mod, which led to emulators and roms galore. From that moment on the x-box was my console of choice as i merrily replayed classics and found lost gems of the arcade era. drunken nights in with friends were amplified by rounds of Simpsons arcade, Pig Skin or Frogger. But as well as the actual games i had a new found respect for our hobby as now i had a complete history of video gaming available to play. Many of the games were old and irritating, but you could see the trajectory gaming had taken, the miss-fires, as well as the hidden gems. the trend setters and the revolutionaries. A joy to behold, as well as a cultural love song to the eighties, nineties and noughties. The true history of gaming could now be played rather than watched, all at the low low price of voiding my warranty and possible litigation. That's what the X-box meant to me. it is my emulator and my museum, and as a result the big ugly box sits proudly under my TV where it will remain indefinitely. I wasn't interested in the Xbox when it launched but remember picking one up at some point with Halo: Combat Evolved. Having heard so much about the game I was expecting something truly amazing and when I played it myself I was most unimpressed. Halo was sluggish, boring and a general mess of a game set in hugely oversized and confusing to navigate enviromnents. I admit the warthog was great fun to play with and the needle gun was fantastic but it was not a great game in my mind. My memories of the original Xbox are quite hazy as I was still PS2 crazy (and later Gamecube) at the time but I remember the awesome console start up and adding my own music for games. I also remember the smaller(S) controller being a huge improvement on the original. Trying to think of classic, memorable exclusive games I played on the original Xbox is hard for me. Nothing really stands out like it does with every other system I can think of. All the Xbox/Sega exclusive titles I enjoyed playing on it (Jet Set Radio, Shenmue II, House of the Dead etc.) I played on the Dreamcast before it. I did play many exclusive games on the system but sadly there's none I have particularly fond memories of. A great looking console, the awesome start up and dashboard, custom soundtracks and the start of Xbox Live are my memories of the original Xbox, just sadly no great exclusive games. The 360, a different story completely. I never owned an Xbox until a good few years in to its production, just as the 360 was gearing up for release. I picked up a pre-hacked machine on eBay, purely by chance really. When it arrived it had got some custom firmware installed on it, meaning I could use it for emulators and such. The guy also sent me a CD spindle full of dubious looking CDRs labelled with magic marker. The trouble is, as always happens when you venture in to the world of copied games, I never gave any of them any time at all. They were worthless. The only games I actually finished on the console were the ones I'd bought myself. Namely, Halo, Halo 2 and the brilliant, hard as nails, Black (always disappointed they never made any more of those). I eventually bought one of the smaller second gen control pads for the machine, but those first few weeks were spent using that giant beast of a pad. It felt so awesome and weighty, it just felt like the Tonka toys of game pads. Indestructible. I don't really have a lot of nostalgia for the console coming to it so late, and not really spending much time with it, but I recognise how important it was for gaming. It really felt like the most mature option available at the time when matched against Sony and Nintendo. Very few games, before or since have managed to capture that pure, unbridled joy of tearing up and down a beach in a Warthog. I still have it somewhere, stashed in an ex girlfriends loft, I really ought to try to rescue it one day! THREE WORD REVIEW: Changed gaming forever. I was only 12/13 when the Xbox launched and I don't think I even knew what one was before a friend of mine got one instead of a PS2. I thought he was insane. Why would you not get a PS2? That was until he showed me Halo and I was absolutely blown away. Not only could you play the whole game split-screen but you could also play the multiplayer mode and battle against each other. The closest I had come to this was Timesplitters on the PS2 which I struggled with at the time because it seemed so fast paced and chaotic where as Halo was much more open and you could really take your time to think about what you were doing. Pretty quickly I told my parents I needed an Xbox and asked if they would buy me them which obviously they didn't because they had got me a PS2 not too long ago. Now at the time I'm sure I thought something along the times of "But they are 2 different things!" where as looking back at it now my parents were probably thinking that no, I already had a games console and that is enough (which to be honest I can't really blame them for.). I realised the only way to get myself an Xbox was to save up the small amount of pocket money that I was getting at the time. I can't remember when I started saving but I know I ended up having enough to buy the console in December 2003 and so my Christmas seemed to come slightly early. I can remember looking around different shops and seeing which had the best value for money in terms of which games were bundles with the console. I ended up buying it from Toys R Us (which seems insane now as for as long as I can remember they were the most expensive shop around for games) because their console came bundled with an extra controller and five different games. FIVE! At the time that seemed amazing to me but I didn't realise that the reason shops do this is to shift all the poor games that they can't get rid of any other way. I can't remember what all the games were but one was Jurassic Park: Operation Genesis which I actually loved coming off the back of playing Rollercoaster Tycoon on the PC and a game that was something to do with driving go karts around an arena which was pretty poor. The other 3 games I can't even remember. Needless to say the only game I really wanted was Halo so as I had actually been so careful and saved up my own money my parents bought be Halo for Christmas. I can't really remember playing much on that console other than Halo. I would play through the whole campaign over and over in split-screen with my brother and then having what seemed like epic sessions on multiplayer whenever we had friends come to visit. Usually there were more than 4 of us so we used to play it so that whoever got the least amount of kills in a game had to pass the controller to whoever had missed out on the last round. If there were 6 of us it would be the 3rd and 4th place that would have to pass the controller. Again this carried on the same through Halo 2 as well. Another exclusive game I remember playing a lot was Unreal Championship 2. To this day I still haven't played any other Unreal games but I loved that one so much. When setting up games you could choose between 1st or 3rd person which seemed like a massive thing at the time. I remember particularly liking the variety of characters who each had their own play styles and move sets as well as the Fatality like Coup de grace's. For a long time I hopes for a further sequel but unfortunately it never happened. As I still had a PS2 and so did a lot of friends I tended to play most other games on that system as being a school kid I couldn't just go and buy any game that released and would only get 2 games a year at my birthday and Christmas so we used to all trade games with each other. During that whole generation none of my friends went on to own an Xbox. they didn't see the point as they could play most games on their PS2s and play Halo at my house. One thing that I thought made the Xbox slightly better than the PS2 was the DVD remote that you could buy separately. You had to plug the received into a controller port but with the Xbox having 4 ports it wasn't all that often that it would have to be removed to connect a 4th controller but it means I could sit right back on my bed and be able to use the controls for whatever DVD I was watching where as with the PS2 you had to use the controllers which we all know didn't have very long cables. One small memory I have of the Xbox is having a big group of friends watching a DVD in my bedroom. We were half way through the film when I noticed that the light was on on the Xbox and thought that I must have left it on when I was playing earlier and got up and turned the console off. Obviously the TV just went black and everyone asked what the hell I was doing. The half a second it took me to realise what I had done seemed to last forever and then even afterward when I sat there in shame with everyone looking at me while I skipped through the scenes to get back to where we were. In the end I loved the Xbox so much that when the next generation rolled around I didn't even consider getting a PS3 and asked for a 360 that first Christmas which my parents happily bought after seeing how much time had been spent on the original. I've just been reminded that The Chronicles of Riddick: Escape from Butcher Bay was an Xbox exclusive and I definitely played that game a hell of a lot but being a single player game there's not much I can say about it that hasn't already been said in it's own podcast so (in Leon's voice:) Go and listen to Cane and Rinse episode 141. I would say “issue 141” though because I’m ‘on brand’! Are you sure the first Riddick game was an Xbox exclusive? I'm almost certain it was bundled with my PS3 when I finally got one. It came with the second game, too, I think on the same disc even. It was an Xbox console exclusive (there was a PC version too) when it launched in 2004, but eventually got an 'HD' version along with another episode on 360 and PS3 in 2009. I remember seeing Halo for the first time just as much as i remember seeing Mario World, Ocarina of Time, Sonic 2 and all usual classics. It struck me as limitless. It felt like there were no boundaries both physically and creatively. I got the console from my boss friend at the local indie store i worked in for my birthday i think but seeing Halo truly stopped my rampaging nintendo fanboyism. You know what I actually thought Episode isn't the right word and even looked on the podcasts page on the main site to see what word was used but couldn't see one. Now that you mention it though I can definitely hear "issue" in your voice. In what became an almost weekly occurrence our next door neighbour would see four young men pile out of a car, in to the house and promptly hear the sound of Gregorian chanting emanating from within. God knows what he thought was going on, but this was our post-football 2 vs 2 Halo session. We'd be getting drinks and snacks sorted as the drums and electric guitar kicked in. This was the ultimate set-up - two of us would be on an Xbox upstairs, connected by a very frayed ethernet cable running down the stairs to another Xbox in the lounge. What would follow were hours of some of the purest, most unadulterated multiplayer fun possible. It was video gaming nirvana the likes of which I've never, and probably never will, experience again. And for that experience alone the Xbox will always be one of my favourite ever consoles. I've just never clicked with XBOX. The only xbox I've owned was a 360 multiple years after launch and that was mainly for various indie games. Part of it is that I've never been a fan of multiplayer online games so didn't buy into the buzz in the 360 days where xbox was clearly the dominant force in this field. Most of all however is that Xbox just doesn't come out with exclusives that appeal to me on any emotional level, since Xbox 1 all exclusives seem to just be generic shooters and racing games that are just not my jam. I may be wrong but I believe the most emotional moment in any Xbox exclusive ever was when Dom's wife dies in GearsOfWar2? and even that was a cliche trope. The closest I came to getting an Xbox 1 was for Playdead's sequel to Limbo, Inside as well as Cuphead but since they also came out on Steam I just played them on PC instead. All this said I can't imagine the industry without the Xbox. It has been pivotal in pushing Playstation to continuously evolve, without Xbox I am sure the Playstation 4 would be a very different machine today. Most of all however is that Xbox just doesn't come out with exclusives that appeal to me on any emotional level, since Xbox 1 all exclusives seem to just be generic shooters and racing games that are just not my jam. On a surface level I see your point, but the o.g, Xbox and 360 had fantastic 3rd party exclusive games that weren't FPSes and racing games, though. Original Xbox has a lot of exclusive SEGA (and From Software) stuff (oh and Capcom's Steel Battalion) and 360 has an insane library of 2D shooters by Cave, Treasure and G.rev, not to mention that 9.5 times out of 10 you got the best looking and performing version of muliplatform games. I'm really not fanboying out here, 'cause I can't think of any compelling reason to add an Xbox One to my unsustainable collection of ever-connected dedicated gaming boxes, while I did end up getting a PS4.